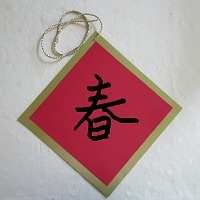 It is a long upheld Chinese tradition and custom to hang bright red banners and signs with messages of good luck and fortune for the New Year. 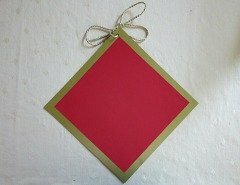 You will find them at the entrances of homes flanking the doors as well as all around town. 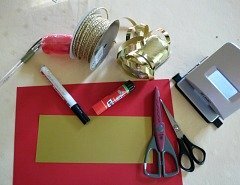 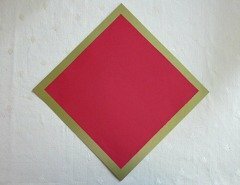 You can make your own to decorate your room, hang them in the living room or by your entrance door so that the first thing your guests see when they come visit is a cheery Chinese new year greeting wishing them good fortune and prosperity in the coming year. 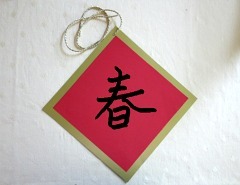 We will make some very simple signs and write on them our "Good Luck" message in Chinese. 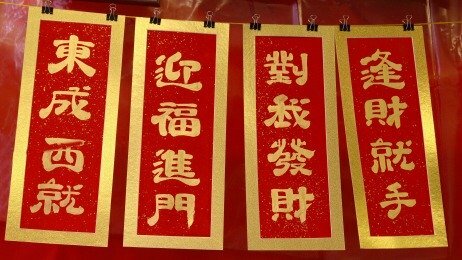 These are some of the most popular Chinese New Year Greetings used in posters and banners for good luck and prosperity in the new year. 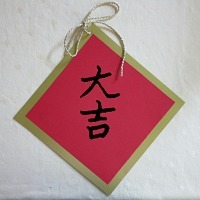 Click on each individual symbol to learn how to write the Chinese characters stroke by stroke. 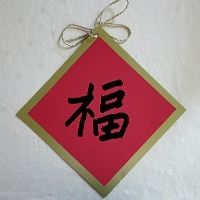 And here are some more common Chinese New Year Greetings and how to wish someone a Happy New Year.